A group of Austrian developers recently demonstrated a mobile Bitcoin payment network that will serve as a precursor to a credit-card-sized, hardware-based bitcoin wallet. Shown at last weekend’s Bitcoin 2013 conference, the mobile payment network — called Mycelium — is an attempt to make bitcoin transactions less technically challenging, and to enable them to happen (at least, for a little bit) without an internet connect . That might seem counterintuitive for a technology whose protocol relies on peer-to-peer communications, but CTO Alexander Vasylchenko has a plan. Mycelium’s endgame involves a credit-card-sized device called Bitcoin Card that carries bitcoins. The card will include a small radio transmitter that can be used to connect with other cards within 50 meters. Bitcoins can then be exchanged between cards, even when no internet connection is present. The cards will still need to connect to the broader Bitcoin network to reconcile a transaction. 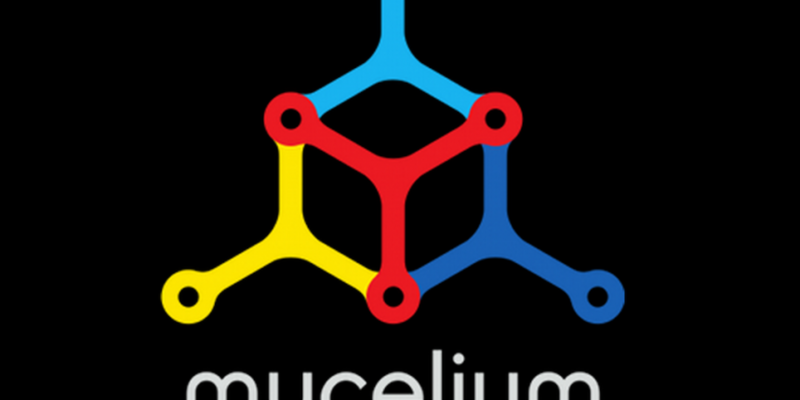 Mycelium is designing a gateway in the form of a USB dongle, which will connect with local cards up to 200 meters away, reconciling their Bitcoin transactions via the Mycelium network. The idea is to make Bitcoin easier for non-technical people to use, and without a smartphone. All merchants will have an account with the Mycelium network, and will operate a gateway, making it easy for them to take payments at the point of sale. But if two people wish to exchange bitcoins without a network connection, the card-to-card transaction will take over. Transactions of this kind will be possible only using bitcoins that have already been confirmed by the back-end network at the last point of synchronization. Vasylchenko isn’t revealing much about how the Mycelium network will operate at the back end, but he is pretty candid about the cards. The project first began in 2007, before Bitcoin was introduced, and was much more ambitious. The card was intended to support transactions in community currencies. It was supposed to have an e-paper screen, and a meshed radio communications system that would interact with other cards in the area. It was to include SMS text capabilities, and would be solar powered. Then, things changed. Bitcoin came out, and the developers decided to focus on that protocol. The Mycelium network was vocal for a while, but then went quiet. During a long period of awkward silence over the past year, the team realized that a solar-powered card wouldn’t work very well when it was being carried around in someone’s pocket. Solving the miniaturization and power challenges proved more complex than first imagined. But now Mycelium has the result: a non-solar-powered card, with a non-rechargeable primary battery, designed to be used for a year. The screen on the new design has been replaced with an LCD, on the reasoning that it will be turned on only for transactions. The firm’s optimistic estimate is that the cards will ship early next year. It doesn’t have a firm price, but it knows that — in addition to selling the cards directly to users — it will also allow merchants to distribute them, possibly with branding opportunities. “The same cards can be used as loyalty discount cards,” Vasylchenko says. Who is funding all this? The money comes from private equity, claim the founders, adding that there is also a “wholesale partner”. Since 2008, the firm has received $30 million in funding. It is certainly an expensive exercise. The device is the same size and more or less the same thickness as a conventional credit card, and it has a custom-designed and fabricated CPU. But first, the team is getting the Mycelium network up and running. That won’t be commercially operational for another four to six months. Before that, they’ll be releasing a smartphone-based Mycelium digital bitcoin wallet, which was expected to be available on the Android app store this month.